Question: At what age can you sign up for Medicare without retiring? Answer: You become eligible for Medicare at age 65 (unless you were eligible earlier due to a disability). Your employment status at age 65 and older has no effect on your eligibility for Medicare. Most people receive Medicare Part A automatically and premium free, so long as they or a spouse have worked and accumulated minimum credits. Enrollment in Medicare Part B is not automatic unless you are already receiving Social Security benefits. You also must pay a premium for Medicare Part B. If you continue to work past age 65, which many people are doing now, you may have some additional options for health insurance with your employer. These options can effect whether or not you enroll in Medicare Part B at age 65. 2012 UPDATE: Enrollment in Medicare Part A is no longer automatic unless you are receiving or have signed up to begin receiving Social Security Benefits. Medicare Part A IS premium free as long as you or a spouse have earned minimum work credits (40). You will need to enroll in BOTH Medicare Part A and B at age 65 unless you qualify for an exception. Question: How does Medicare pay on a mammogram? Answer: Mammograms are covered under Medicare Part B. Medicare will cover one screening mammogram every 12 months for women 40 and older. If your doctor accepts Medicare assignment, you pay nothing for this service. If you have a situation where your doctor is ordering a more frequent mammogram, that coverage is determined on a case by case basis, based on your condition diagnosis. More frequent mammograms may be subject to the Medicare Part B deductible and coinsurance. This coverage is enhanced in 2011 as of the healthcare reform bill being enacted. Question: I have a growth on the left side of my face that is beginning to itch. This growth has been there for some time and also interferes with the comfort of my glasses arm that fits over my ear. This growth has been removed at different stages, but keeps coming back and is quite large and uncomfortable now. What part of Medicare will pay for removal of this? Answer: Medicare Part B covers surgical procedures. There is a Medicare Part B deductible of $162 for the calendar year, and then you pay 20% of the Medicare allowable charge. Generally, a procedure considered purely "cosmetic" is not covered. I doubt that a condition causing abnormal growth on your skin is purely cosmetic. However, it is important to ask your doctor if the condition causing the growth and the surgical removal of the growth is covered by Medicare. It is always a good idea to have your doctor confirm if a prescribed treatment is covered by your insurance. There is nothing wrong with asking them that question. Your doctor's office can call Medicare with a diagnosis code and confirm coverage. Question: I took the early Social Security option and receive a monthly stipend. I've been told, somewhere, that because I am already on SS payments, I need to do nothing to be signed on for Medicare. I turn 65 on 8/10/11. Answer: Generally, if you are receiving Social Security Benefits, you are automatically enrolled in Medicare Part B when you turn 65. I have had clients who had a glitch somewhere in the process so I always advise people to check with Social Security to make sure you are enrolled. You should receive a letter in the mail a couple months (sometime in May/ June for you) before your birth month letting you know you are enrolled in Medicare Part B with instructions about what to do if you wish to postpone enrollment. You get Medicare Part A, in most cases, without a premium so it begins automatically. If you don't receive your letter by mid-June, give Social Security a call (1-800-772-1213) to make sure you are set. On Facebook, Medicare Answers From Connie asked: Parasailing in Cancun, Mexico ~ Seemed like a good idea at the time! A day in the hospital and you’re good as new. WHAT PART PAYS? Do They Take American Express??? - 1 person picked this one. Do they take American Express?? ?, I'm afraid you're on your own with this one. Medicare does not pay for treatment outside of the US. BUT..., If you had a Medicare Supplement, it would pick up all but the first $250 of up to $50,000 in charges. Did you know that there is low cost travel insurance available also? Thanks for participating! Question: I will be 65 in Oct. Am I able to collect any old age benefits, qualify for Medicare/Medicaid and still work? I will earn a BS in May, 2012 and plan to work till I can’t, thus contributing to my Social Security. Waiting to draw Social Security until age 70 gives you the greatest benefit. Should you choose to begin collecting Social Security prior to retirement age, you may repay what you have received at age 70, interest free right now, and essentially start over at the higher percentage pay out. Question: Does Medicare/Medicaid pay for any part of getting glasses, like the eye exam, getting the prescription filled, lens, frames? Answer: Medicare does not pay for eyeglasses in most cases. Medicare has only limited coverage for eye glasses: One pair of eyeglasses with standard frames (or one set of contact lenses) after cataract surgery that implants an intraocular lens. You pay 20% of the Medicare-approved amount, and the Part B deductible applies. If you qualify for extra help from Medicaid you need to check with them to see what is available to you. You may call 211 and you will be connected to a Medicaid representative. If you have trouble connecting you may call 1-877-541-7905. You may also go online to www.211texas.org to search for the phone number to your local Medicaid office using your home zip code. Question: I have pernicious anemia and need Vitamin B 12 shots. What part of Medicare pays for this? Answer: Medicare Part B covers most injectable drugs administered by a licensed medical practitioner, if the drug is considered reasonable and necessary for treatment. The key is "reasonable and necessary" . Vitamin B 12 injections are the standard treatment for pernicious anemia; however, it's always a good idea to ask your doctor if a treatment is covered. On Facebook, Medicare Answers From Connie asked: Is that a COBRA? OMG ~MILD HEART ATTACK~ Out of the HOSPITAL in a few days! WHAT PART PAYS? This Bill's Going to the Zoo! - 2 people picked this one. ANSWER: I really think the Zoo should offer some assistance here, but, PART A Pays! Medicare Part A pays all but $1132 (in 2011) for Hospitalization per benefit period. A benefit period begins on the first day you receive service as an inpatient in a hospital and ends after you have been out of the hospital and have not received skilled care in any other facility for 60 days in a row. 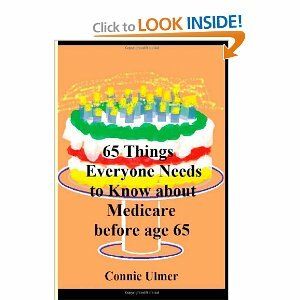 On Facebook, Medicare Answers From Connie asked: OOPS! Knife juggling ~ maybe not the best hobby! You’re gonna need a blood transfusion. WHAT PART PAYS? ANSWER: Medicare Part B is the PART that pays! (and "Part of My Checking Account" is not really an incorrect answer!) In most cases, the provider gets blood from a blood bank at no charge, and you won’t have to pay for it or replace it. However, you will pay a copayment for the blood processing and handling services for every unit of blood you get, and the Part B deductible ($162 ) applies. If the provider has to buy blood for you, you must either pay the provider costs for the first 3 units of blood you get in a calendar year or have the blood donated by you or someone else. A Medicare Supplement would pick up the costs Part B didn't pay. Thanks for participating! On Facebook, Medicare Answers From Connie asked: If you have to go to the Hospital in an Ambulance, WHAT PART PAYS? ANSWER: Well, hopefully you're pleasantly surprised - PART B will be paying this bill! Of course, you'll have to pay the deductible ($162) and 20% coinsurance if you don't have a Medicare Supplement but PART B pays! Thanks for participating!